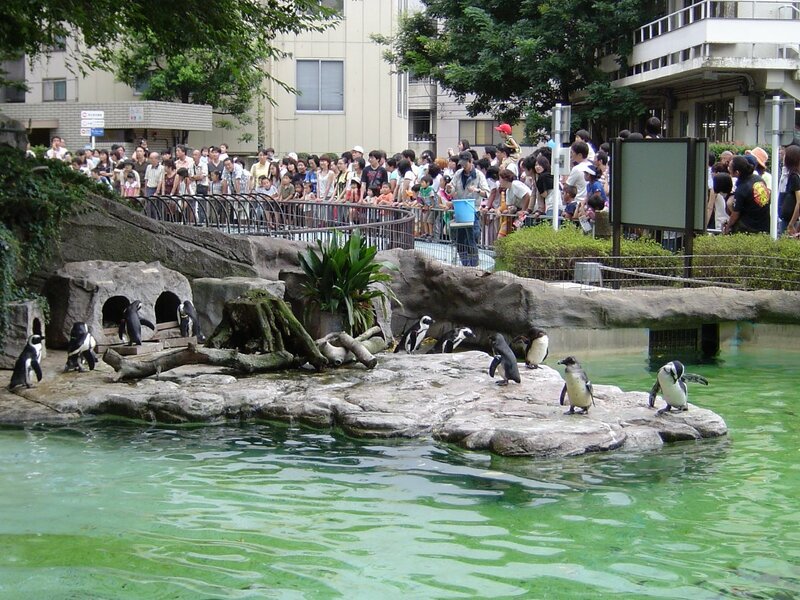 In 1882, the first zoological park in Japan opened its gates in Ueno Park to the people of Tokyo. Fittingly, the park was also the first in Japan as well. While we're on the topic, the monorail which ferries people between the east and west side was yet another first for Japan. Construction on it finished in 1957. 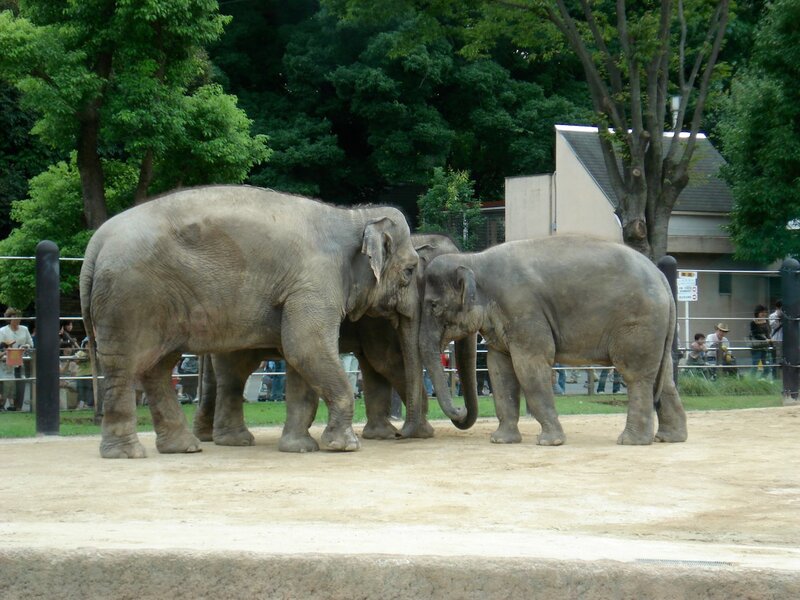 This all adds up to make Ueno Zoo the most famous and prestigious zoo in Japan. It celebrates its birthday on March 20 with free admission for all every year. Free days also occur on Greenery Day and Tokyo City Day. 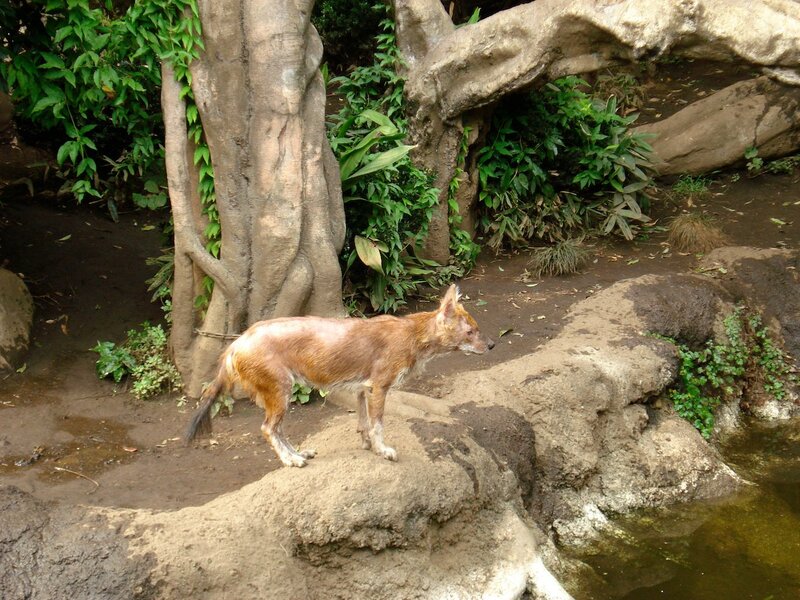 In a typical year, the zoo is visited over 3 million times. 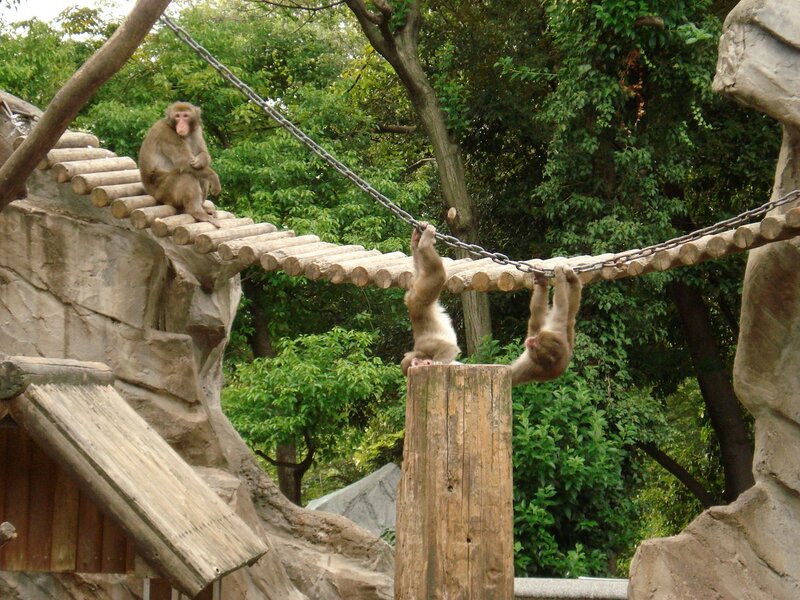 As of April 2006, the zoo is now run by the Tokyo Zoo Association. 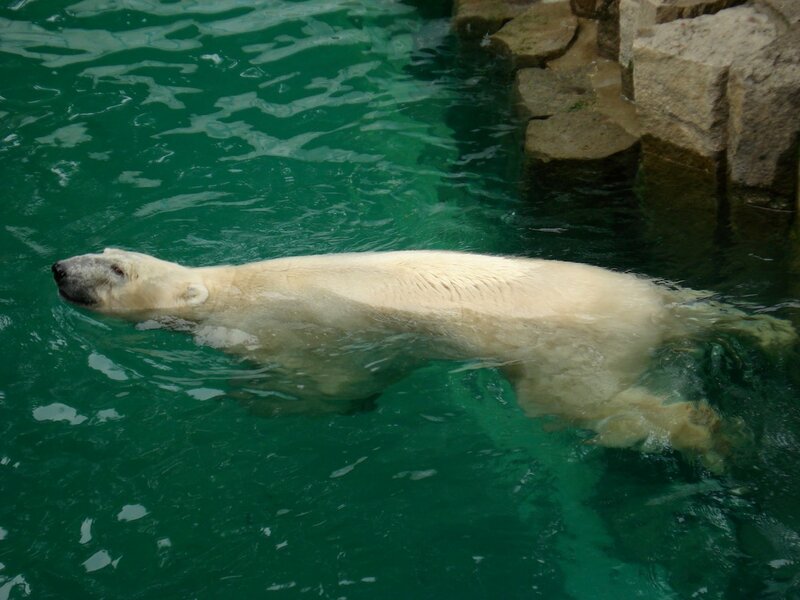 Lately, Hokkaido's Asahiyama Zoo has received much press for managing to rival Ueno Zoo for a few months for most visitors in a month. 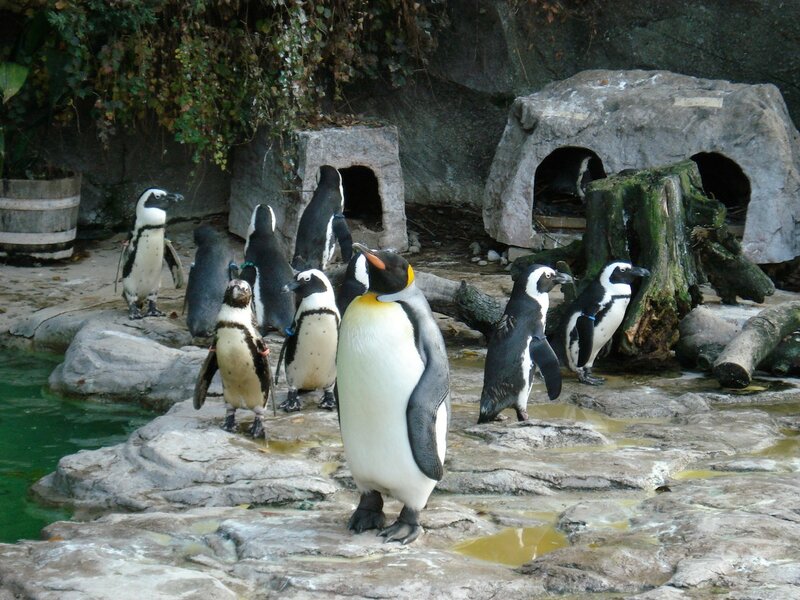 The zoo covers 14.3 hectares (35.2 acres) and has over 450 different species in large landscaped enclosures. It will take a good afternoon to see all of the animals. The zoo is divided into an east and west side by geography. Ueno (literally 'upper plain') is a 20 meter high plateau and the park's western side is down the ridge. Visitors can either take the monorail (150 yen / 80 yen - elementary) or take a short walk between the two sides. Since most visitors enter through the main entrance on the east side it is hardly an inconvenience to walk down to the western section. 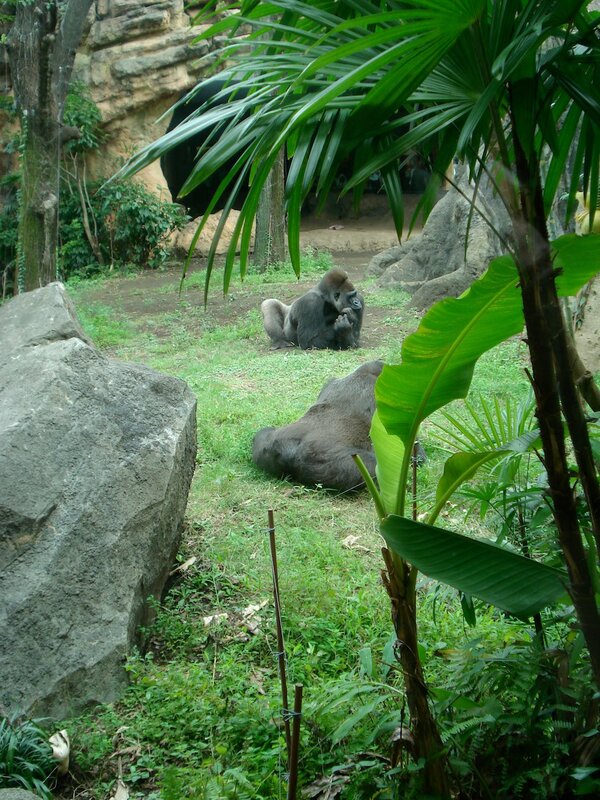 The zoo has built a number of showcase habitats in its eastern section for its western lowland gorillas, lions and bears. The elephant enclosure is also well done with clear sight lines. One of the interesting features of this half (and probably a unique feature of any zoo in the world) is the 5 story pagoda and tea house near the main entrance. 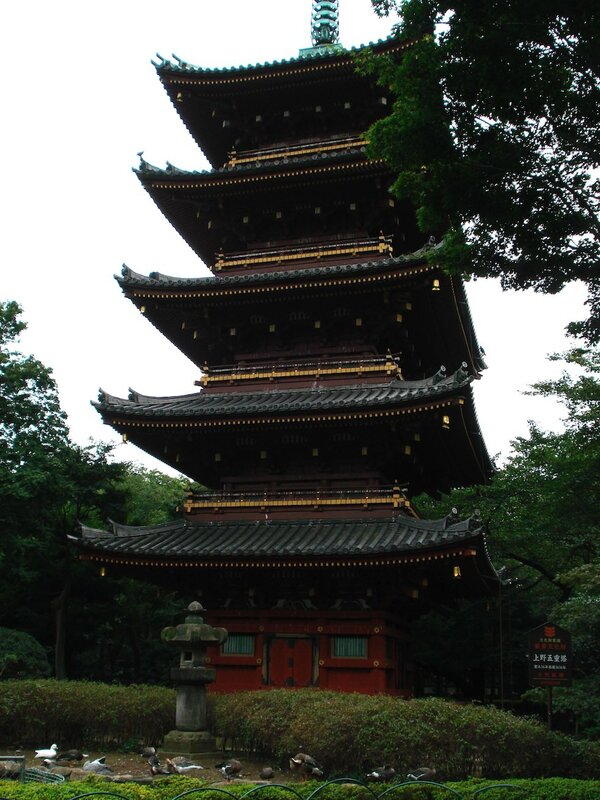 The pagoda was rebuilt in 1631 after a fire and was donated to the city by its owners. The western half runs along the side of a large pond. 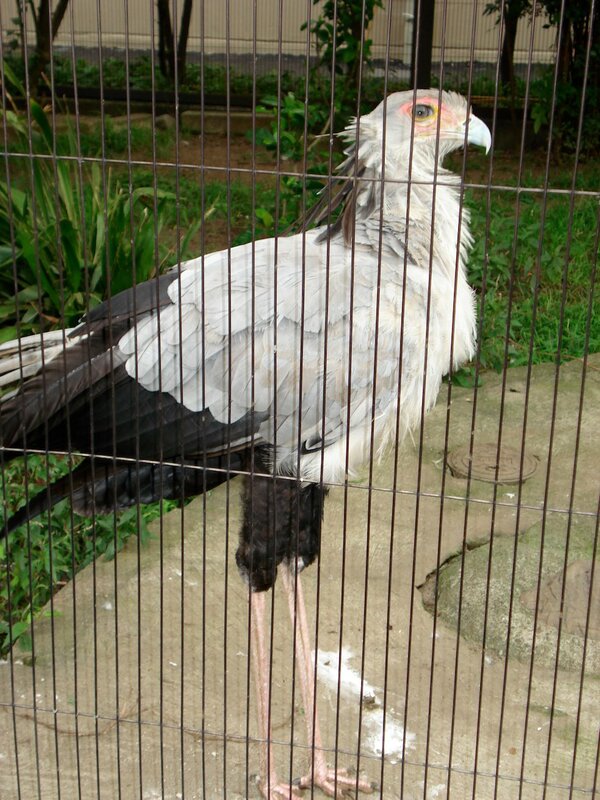 The cages on this side are generally smaller, older and less attractive. 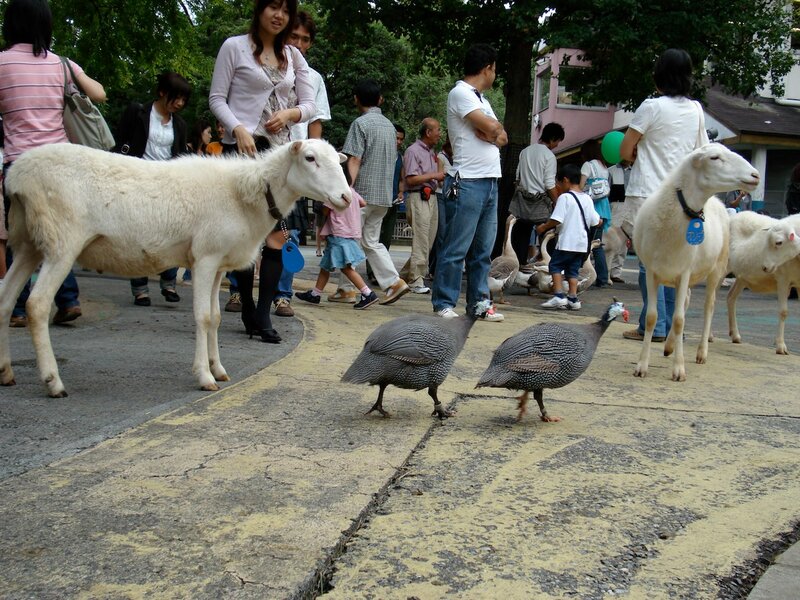 It also has the child friendly petting zoo. 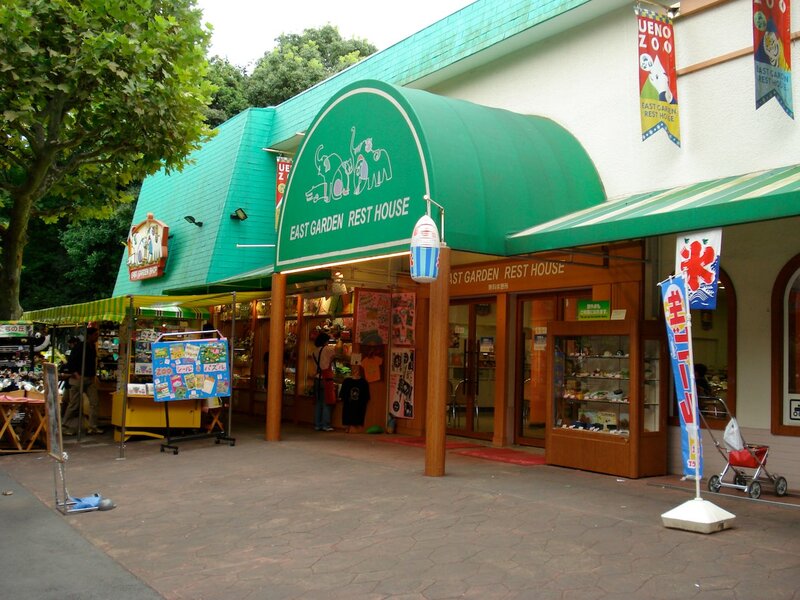 Gift shops and cafeterias are located in both halves. 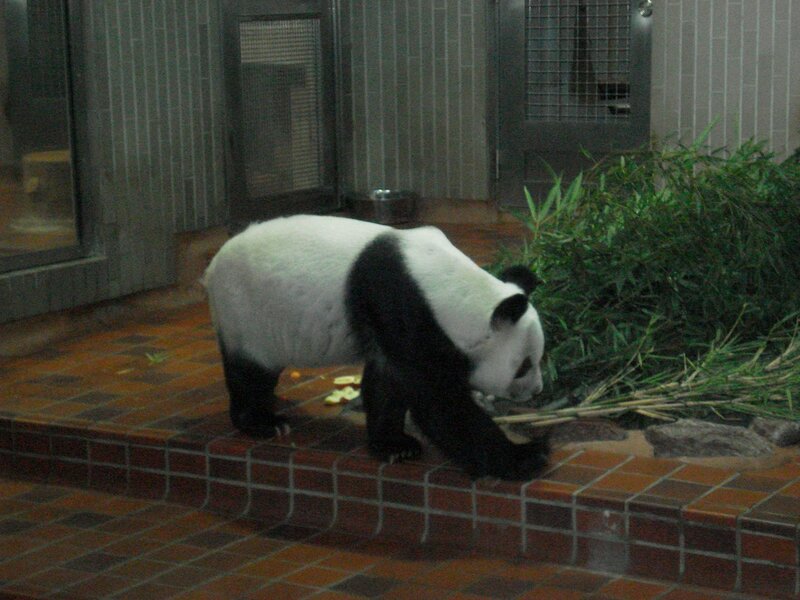 Pandas first arrived at Ueno on October 10, 1972. 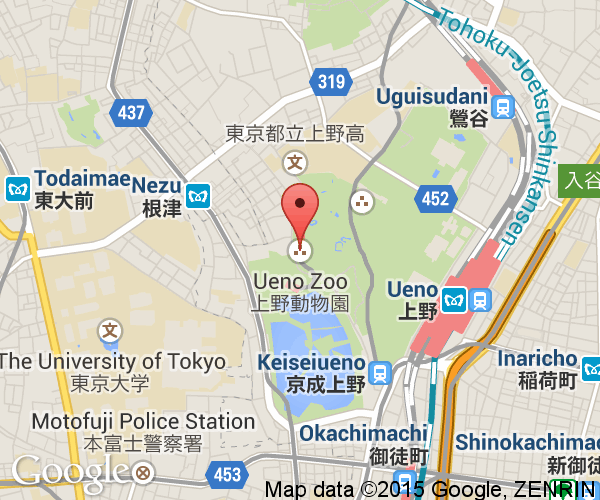 Ueno Zoo is one of three zoos in Japan currently hosting giant pandas. Generally, the zoo has kept a breeding pair of pandas but currently only has one panda, Ling Ling. He took part in a long distance dating program with three female pandas at Mexico City's Chapultepec Zoo. 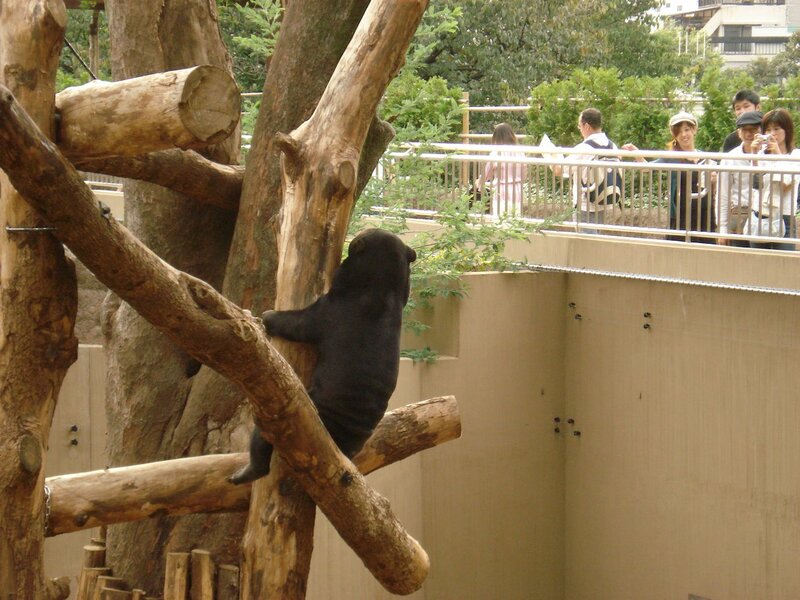 Like all pandas, Ueno's are on loan from China. 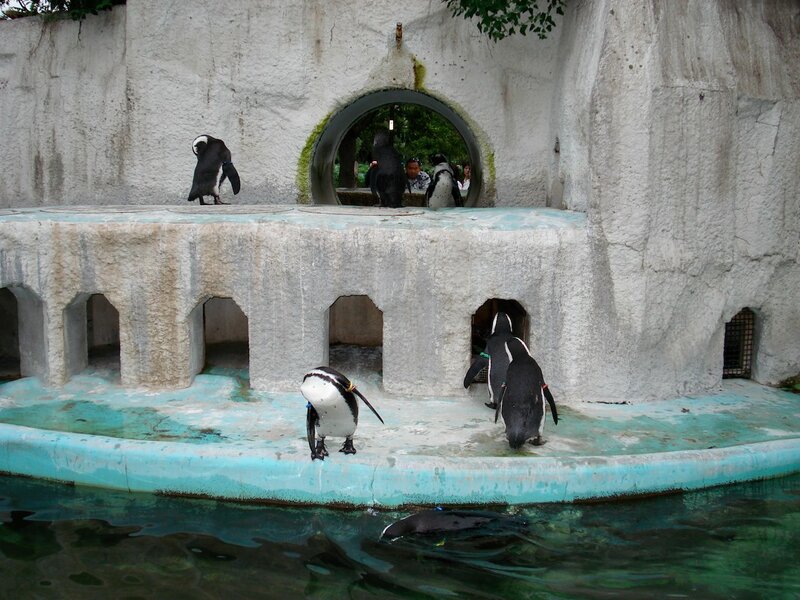 Ueno Zoo is located in Ueno Park in Tokyo. JR Ueno Station is two stops north of JR Tokyo Station on the famous Yamanote loop train. Yamanote trains and signs for their platforms are distinguishable by their light green color. 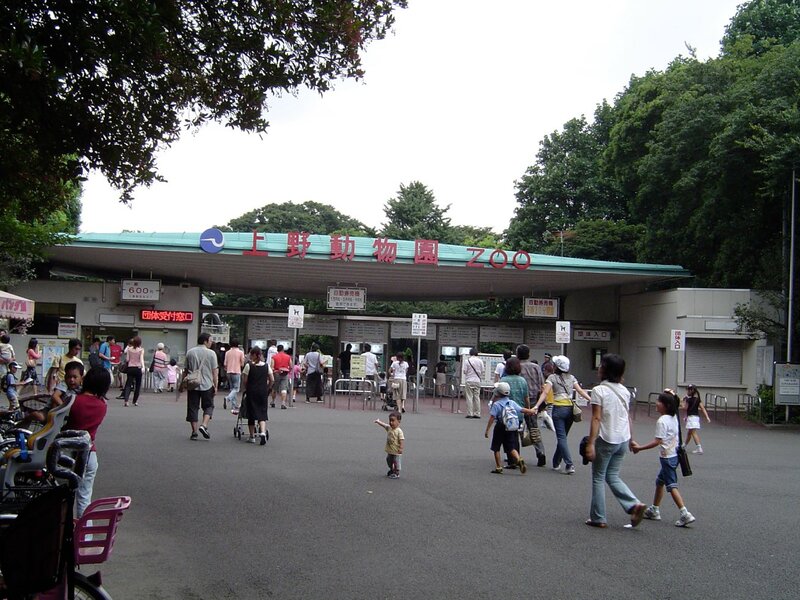 The main zoo entrance is a 5-10 minute park through the park. Follow the signs. The zoo can be visited by car but the zoo itself has no parking. There are numerous pay parking lots around Ueno Park.